A passenger was arrested at Heathrow airport after he was seen acting suspiciously and loitering near the exit of a British Airways flight. Police stormed the jet when it landed in London yesterday morning. 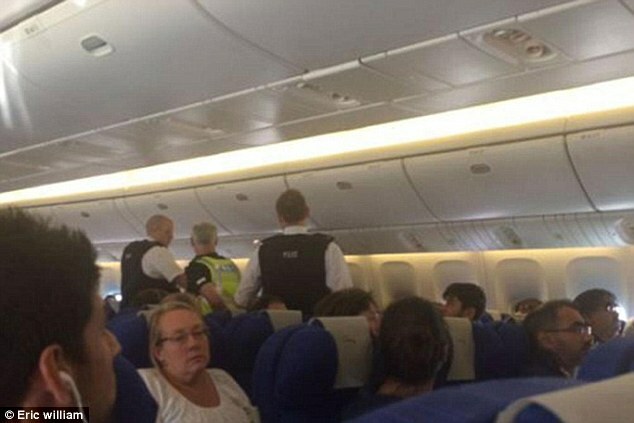 Witnesses said the man had been wandering around the aisles and had been disruptive on board flight BA098 from Canada. Passenger Eric William, 37, told the London Evening Standard: ‘The captain advised everyone to stay seated when we landed until the police and ambulance personnel were on board and we were told we could leave. ‘We landed and they boarded and attended the person at their seat where the crew had them confined. Police confirmed a male passenger was taken off the flight when it landed at 8.36am at Terminal 5. 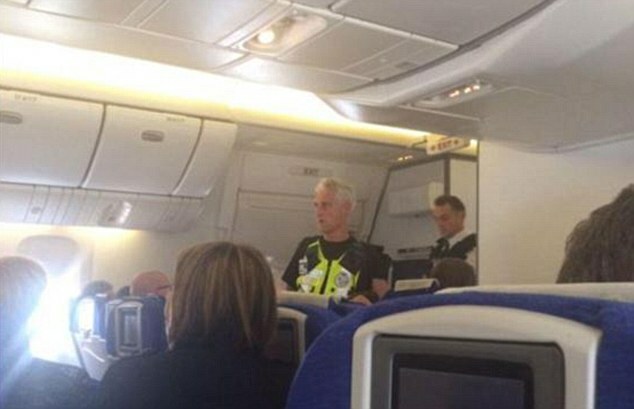 A Metropolitan Police spokesman said: ‘It was reported that a man had been disruptive on an inbound flight from Canada. ‘Officers attended and a man was arrested for failing to comply with the directions of cabin staff. A spokesman for British Airways added: ‘Our crew requested medical services to meet the flight to provide assistance. ‘The safety of our customers and crew is always our first priority.